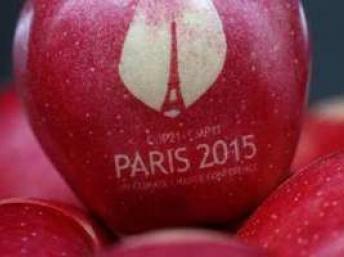 COP21, the Congress of Parties 21 – the 21st gathering of nations and organizations working toward an agreement on reducing greenhouse gases, has concluded with what many conclude to be a historic turn from fossil fuels to cleaner, greener means of powering the world’s economy. 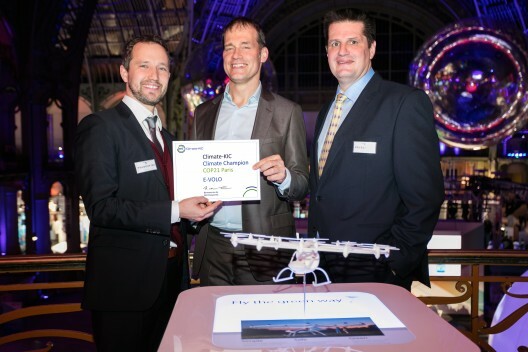 At a gala “SolutionsCOP21 – Celebrate the Champions Night” at the Grand Palais on the Champs-Élysées in Paris, leaders in demonstrating clean energy solutions were honored and awarded. Globe-straddling solar aviation and electric commuter helicopters showed a few of the environmentally conscientious directions aviation has taken and in which sustainable flight can take flight in the near future. Eraole, with its first motor run at COP21, is a tandem-winged cruiser that will fly on a combination of solar power and biologically-derived algae fuel driving its single electric motor. The 14 meter wings and large horizontal tail provide space for 43 square meters (462.8 square feet) of 24-percent efficient solar cells. These will be assisted by a range extender fueled by “decarbonized” oil. The airplane will start flight testing in January, with a flight between Long Island, New York and Le Bourget, France, with more details to come. Raphaël Dinelli, an accomplished sailor, is leading a team of ten people based at Sables d’Olonne (Vendée). Along with developing small wind turbines and patented encapsulated solar cells with 24-percent efficiency, the team has designed Eraole, a two-seat, tandem-winged biplane. It’s 7.5 meters (24.6 feet) long and has a wingspan of 14 meters (45.9 feet). Patterned after the Henri Mignet aircraft of the 1930’s its more modern aerodynamics should make it a more stable performer – utterly necessary for a trans-Atlantic flight that will keep the single pilot up for 60 hours. Its power will come from use of the team’s solar cells (20 percent) and a bio fuel-fired Diesel generator to recharge the plane’s batteries (80 percent). We’ll have more technical details in a separate entry coming soon. 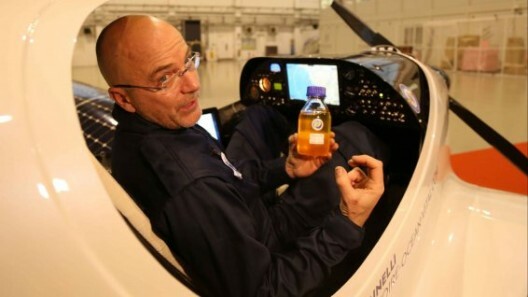 Solar Impulse did not have its gigantic airplane on view, but Andre’ Borschberg and Bertrand Piccard were highly visible throughout the sessions, with Piccard being named a Goodwill Ambassador for the United Nations Environment Program (UNEP). As reported by the organization, “UNEP Executive Director Achim Steiner said: ‘In creating the Solar Impulse Foundation Bertrand Piccard has demonstrated how innovation and clean technologies are crucial to a sustainable future. More than this, he and his fellow pilot André Borschberg have shown we are already living in that future. Raphael Domjan has a nautical background like M. Dinelli, helming the PlanetSolar boat propelled by sunshine to sail around the world, and having made an attempt with a partner to take two solar-assisted kayaks through the fabled Northwest Passage. His team brought a PlanetSolar simulator to the Grand Palais along with the kayaks and several movies of Domjan’s adventures, including SolarStratos. His next realm to conquer is in the skies, where his SolarStratos two-seat motor glider will take paying passengers to the high stratosphere or the lower heavens depending on one’s point of view. All the designers, builders and adventurers who showed their green aviation credentials at COP21 are to be admired, and we hope, imitated by others who want to fill tomorrow’s blue skies with clean machines, treading quietly along the footless halls.